It’s our most important job as adults. It’s our mission here at Bitrex. You may not know the name. You may not know what it is. Chances are, you’ve never even considered that such a thing exists. 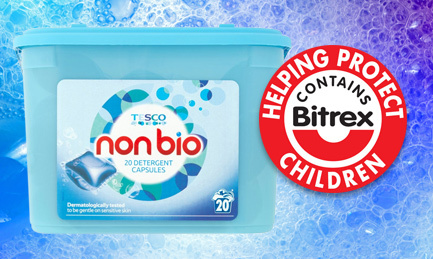 But if you’ve ever thought what would happen to a child or a pet if they swallowed a chemical household product… then you should know about Bitrex. Bitrex is the brand name of the bitterest substance in the world. 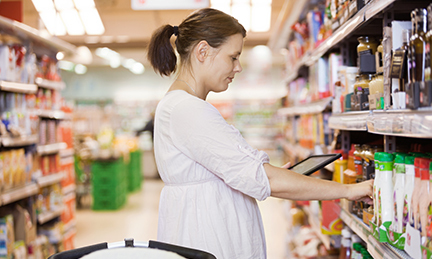 Responsible manufacturers and retailers add Bitrex to household products as a safety ingredient. If a child accidentally tried to swallow a product, they would spit it out before it poisoned them. Once you start looking, you'll be amazed how many products contain Bitrex. From cleaning products to cosmetics, garden pesticides to anti-freeze, firelighters to air fresheners. All you have to do is look for the Bitrex logo when you're out shopping.